Retail unit available To Let immediately. Located just off Main Street and Market Square. Ideally suited to small or start up business. Rates and Insurance the responsibility of the tenant. 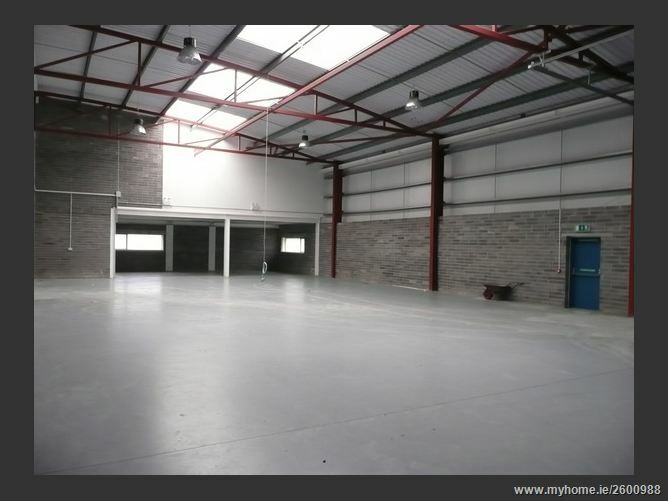 Modern light industrial unit of 520 sq.m (5600 sq.ft) available To Let immediately. Ground floor footprint area of circa 460 sq.m with a further 60sq.m of office at first floor mezzanine level. Power floated paint sealed warehouse floor as well as office area. Suit a variety of uses.